Design user interfaces and mockups for web, mobile, and desktop apps. Is there a better alternative to Keynotopia UI Prototyping Templates? 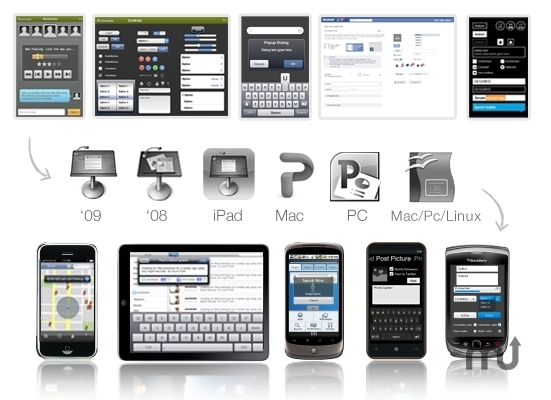 Is Keynotopia UI Prototyping Templates really the best app in Illustration category? Will Keynotopia UI Prototyping Templates work good on macOS 10.13.4? Keynotopia UI Prototyping Templates ... Design user interfaces and create clickable mockups for web, mobile, and desktop apps in 30 minutes or less, without touching a design tool or writing a single line of code! Keynotopia UI Prototyping Templates needs a review. Be the first to review this app and get the discussion started! Keynotopia UI Prototyping Templates needs a rating. Be the first to rate this app and get the discussion started! To prototype an app, simply copy and paste interface components from a Keynotopia template onto your slides, add hyperlinks to create interactivity, then export your presentation as a clickable PDF and test it on your mobile device, or send it to someone for feedback.